Is Intel teaming up with ZTE for the launch of its phone? Intel commands the desktop PC market, but it has had a tough time trying to establish its positions in the mobile segment – the ARM chipset is practically found in every smartphone out there and with Microsoft's announcement of support for ARM in the next Windows, chip-maker Intel has resorted to China and ZTE. Intel has designed a phone for the Chinese market, according to sources close to the matter quoted by Blomberg, but it's yet unknown whether a device for the Western countries will follow. Neither Intel, nor ZTE confirmed the rumor, but in an interview ZTE spokesperson Margrete Ma mentioned that the two companies have indeed held talks. 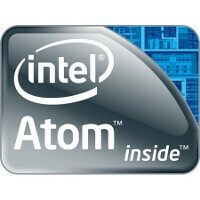 The rumor comes as Intel pushes its mobile market presence with the launch of its Atom processors for tablets. The only other unsolved mystery is the operating system of the upcoming phone. ZTE focuses on affordable Android handsets, while Intel has become the biggest supporter of MeeGo after Nokia virtually quit the MeeGo effort. Whatever the phone is, it should up the game in energy efficiency as Intel takes pride in the battery life. What are your expectations? Don't hesitate to let us know in the comments below! ZTE? seriously? Most likely this would be a Meego phone so why would Intel go with a company whose hardware is just simply sub-par? Well I hope it's just a rumor.